FICTION FACTORY is a Munich-based film production company specializing in documentaries and DVD/Blu-ray special features. This website offers a complete chronological listing of every documentary produced by Fiction Factory since the start of the company in 2002, currently more than 260 titles. 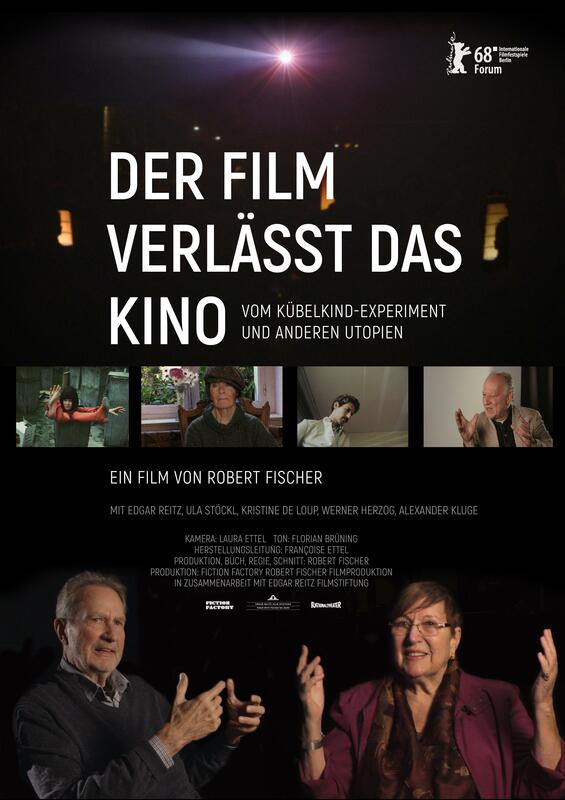 (Also included are earlier documentaries by Robert Fischer produced for German television in 1999-2000 and Fischer’s contributions to The Criterion Collection. Please note that most of the latter are produced and owned by Criterion.) 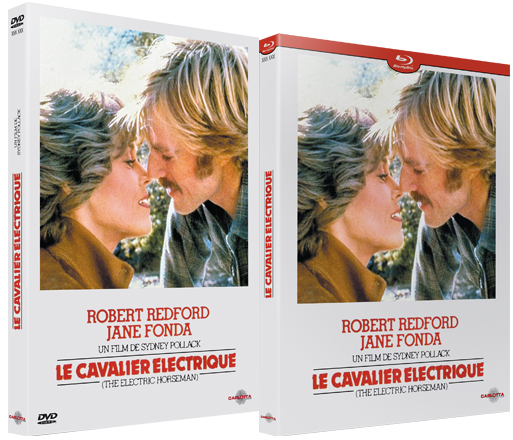 The DVD/Blu-ray section lists, in alphabetical order, every published DVD or blu-ray that contains bonus features produced by Fiction Factory and/or Robert Fischer, with currently over 440 entries from all over the world. A search by director (either as subject or contributor) is possible either by clicking on a director’s name in the column on the right, or by using the search bar. If you are looking for films, names or subjects NOT listed in our database, please contact us! We are constantly working on new productions, shooting in Europe or the USA. We have also gained exclusive access to a large collection of archival interviews, and are in the process of making these available. See here for a selection of these mostly unedited and unpublished filmed interviews with directors, actors, film historians and other experts or crew members. Among the subjects covered are the films of Budd Boetticher, Edward Dmytryk, Federico Fellini, Richard Fleischer, Alfred Hitchcock, Jerry Lewis, Louis Malle, Otto Preminger, Francesco Rosi, Edgar G. Ulmer, Raoul Walsh, William A. Wellman, Fred Zinnemann and many others. Contains the Fiction Factory documentaries THE ECLECTIC DESIGNER: BERNIE POLLACK ON SYDNEY POLLACK’S »THE ELECTRIC HORSEMAN« (30 min) and CUT TO THE CHASE: STUNTMAN CONRAD E. PALMISANO ON »THE ELECTRIC HORSEMAN« (15 min). 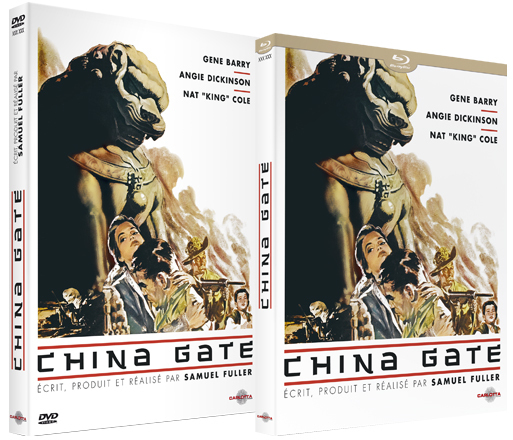 Contains the Fiction Factory documentary PEACE OF MIND: A PERSONAL LOOK AT SAM FULLER’S »CHINA GATE« BY SAMANTHA FULLER AND CHRISTA LANG FULLER (41 min). 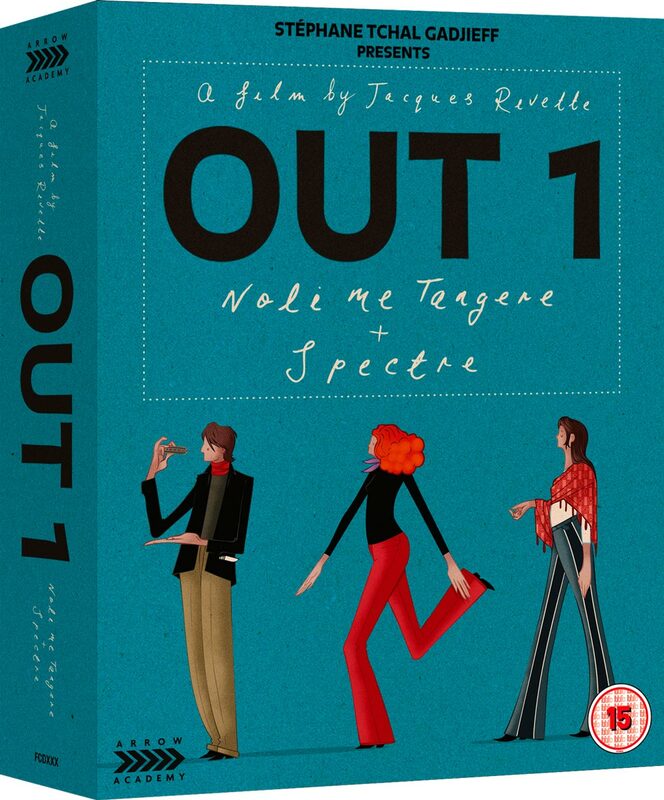 Contains the Fiction Factory documentary THE MYSTERIES OF PARIS: JACQUES RIVETTE’S »OUT 1« REVISITED (110 min). 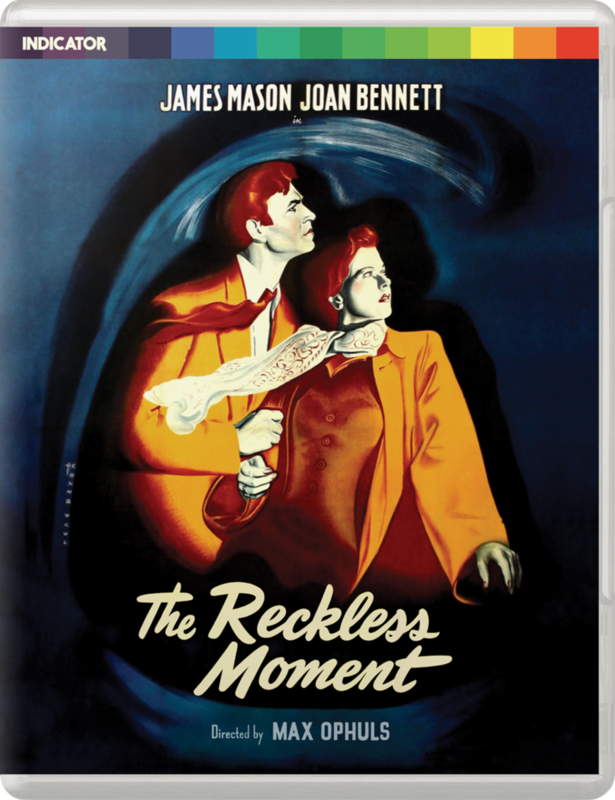 Contains the Fiction Factory documentaries MAKING AN AMERICAN MOVIE: LUTZ BACHER ON MAX OPHULS AND THE RECKLESS MOMENT (42 min) and MATERNAL OVERDRIVE: TODD HAYNES ON MAX OPHULS’ THE RECKLESS MOMENT (22 min). Contains the Fiction Factory documentary FILMHELD MACKIE MESSER: MICHAEL PABST ÜBER G.W. 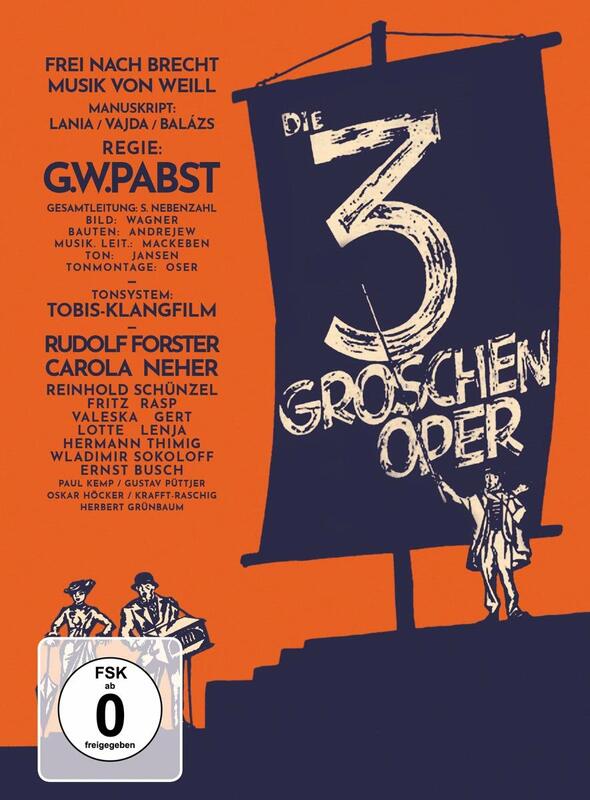 PABSTS »3 GROSCHENOPER« (30 min). 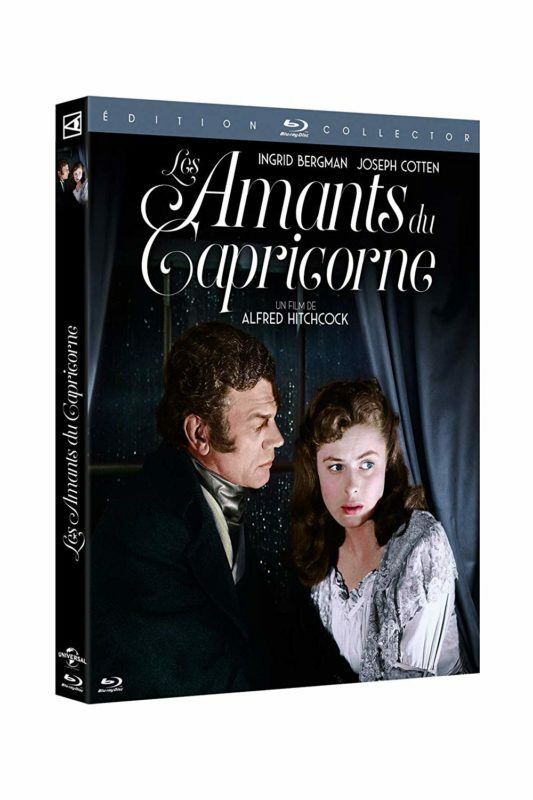 Contains the Fiction Factory documentary A CINEMA OF SIGNS: CLAUDE CHABROL ON ALFRED HITCHCOCK (27 min). Contains the Fiction Factory documentary RUNNING IN THE DARK: GLENN ERICKSON ON JULES DASSIN’S »NIGHT AND THE CITY« (42 min). LIFE AS IT IS: MILOS FORMAN ON MILOS FORMAN | A Film by Robert Fischer | 115 min. Spiked with personal stories and invaluable insights into the craft of filmmaking, this intimate talk with legendary Czech-American film director Milos Forman takes us on a journey through Forman’s life and career, from his early successes as a key figure in the Czech New Wave (BLACK PETER, LOVES OF A BLONDE, THE FIREMEN’S BALL) to his award winning masterpieces in the United States (TAKING OFF, ONE FLEW OVER THE CUCKOO’S NEST, AMADEUS, MAN ON THE MOON). Shot in New York in May 2000, a condensed version of this on-camera interview opened the Milos Forman retrospective at Filmfest Munich that same year. As a tribute to the great director, who passed away in April 2018, this newly edited version presents the complete footage for the very first time. Persönliche Erinnerungen und erhellende Einblicke in die Kunst des Filmemachens wechseln sich ab in diesem ebenso spannenden wie unterhaltsamen Gespräch mit einer der schillerndsten Regie-Persönlichkeiten der letzten 50 Jahre: Milos Forman. Der Bogen reicht von Formans Kindheit in Böhmen und seinen frühen Filmen der tschechischen Neuen Welle (DIE LIEBE EINER BLONDINE, DER FEUERWEHRBALL) über die politischen Turbulenzen des Jahres 1968 und Formans Emigration in die USA bis hin zu den großen Kino-Erfolgen wie EINER FLOG ÜBER DAS KUCKUCKSNEST und AMADEUS. Eine kurze Version dieses vor 18 Jahren in New York gedrehten Interviews eröffnete 2000 die Milos-Forman-Retrospektive beim FILMFEST MÜNCHEN. In Erinnerung an den großen Filmkünstler, der im April 2018 verstarb, präsentiert diese neue Fassung erstmals das komplette Werkgespräch. Der Filmemacher Edgar Reitz, Mitunterzeichner des Oberhause­ner Manifests und Pionier des epischen Erzählens im Film (HEIMAT), beschäftigt sich seit über einem halben Jahrhundert nicht nur in der Praxis, sondern auch als Theoretiker mit den Regeln und Grenzen des Kinos, die er auf immer neue Weise zu spren­gen und zu erweitern sucht. Ein Beispiel für sein unermüdliches Suchen und Forschen sind die 1969/70 in Co-Regie mit Ula Stöckl entstandenen GESCHICHTEN VOM KÜBELKIND, 22 abstrus-witzige, subversiv-anarchische Kurzfilme unterschiedlichster Länge, die sich ganz bewusst und mit verblüffendem Erfolg jeder Konvention widersetzten. In ihrem dadaistischen Ideenreichtum sind sie bis heute unerreicht. DER FILM VERLÄSST DAS KINO wird seine Weltpremiere als Special Screening im Rahmen der Berlinale (Forum) feiern, und zwar am 17. Februar um 14 Uhr im Delphi-Kino (Wiederholung: 22.2., 17:30 Uhr, Arsenal 1). Weitere Aufführungen: 24.2., 18:30 Uhr im Metro Kinokulturhaus, Wien, und 1.3., 20 Uhr (Wiederholung: 4.3., 14 Uhr) im Filmhaus im KunstKulturQuartier, Nürnberg, jeweils in Anwesenheit von Edgar Reitz und Robert Fischer. In 1962, Edgar Reitz (HEIMAT) co-signed the Oberhausen manifesto that set the New German Cinema in motion. In 1968, Ula Stöckl emerged as Germany’s first feminist filmmaker. A year later, Stöckl and Reitz joined forces to create STORIES OF THE DUMPSTER KIND, a series of 22 hilarious, irreverent short films that have been talked about – but rarely seen – for nearly 50 years. Robert Fischer’s FILM BEYOND CINEMA: THE DUMPSTER KID EXPERIMENT AND OTHER UTOPIAS is a documentary on the background and rediscovery of the DUMPSTER KID series, but also much more: Reitz and Stöckl are joined on-camera by Werner Herzog, Alexander Kluge and others to reflect on nothing less than the future of cinema. The latest Fiction Factory documentary just finished production: THE BEAST INSIDE: CREATING »WOLF« is a 55-minute making-of featuring brand-new interviews with producer Douglas Wick, co-writer Wesley Strick and legendary special make up artist Rick Baker. WOLF (1994), directed by Mike Nichols and starring Jack Nicholson and Michelle Pfeiffer, is not so much a werewolf movie but a film about a normal guy’s coping with his animal nature: high-class entertainment, as funny as it is frightening. THE BEAST INSIDE will be featured on British boutique label Indicator’s dual format release of WOLF, due out within the next months. John Huston’s sombre but compassionate boxing drama FAT CITY (1972) is a criminally-underseen late-career masterpiece from the great director. Peppered with outstanding performances, this gritty yet affectionate look at the world of small-time boxing highlights a down-and-out fighter (Stacy Keach) and a young up-and-comer (Jeff Bridges), both moving through a world of seedy gyms and flop houses. The new Fiction Factory documentary SUCKER PUNCH BLUES: A LOOK BACK ON JOHN HUSTON’S »FAT CITY«, featuring interviews with actors Keach and Candy Clark, casting director Fred Roos and assistant cameraman Gary Vidor, chronicles the making of this modern classic and will first be available on British boutique label Indicator’s dual-format release of the film in late March. In January, Fiction Factory head Robert Fischer reconnected with John Moulder-Brown to shoot interviews on two more of the actor’s films from the early 1970s. Having discussed Jerzy Skolimowski’s DEEP END (see here) and Maximilian Schell’s FIRST LOVE in 2011, they now sat down to talk about Narciso Ibáñez Serrador’s cult classic THE HOUSE THAT SCREAMED (La Residencia, 1970) and Luchino Visconti’s lush and masterful historical drama LUDWIG (1973). Moulder-Brown was happy to go back in time and share his memories about creating these truly enigmatic characters, and the two interviews (with a running time between 20 and 25 minutes each) will soon become available for international DVD and blu-ray releases. In Fiction Factory’s brand-new interview feature THE WOMAN IS DANGEROUS, filmmaker Vanessa Wanger Hope talks passionately about her grandparents — Hollywood star Joan Bennett and producer Walter Wanger — and the pair’s collaboration with director Fritz Lang on no less than four films: MAN HUNT (1941), THE WOMAN IN THE WINDOW (1944), SCARLET STREET (1945) and SECRET BEYOND THE DOOR (1947), the latter two produced by Diana Productions, a company founded and run by the star/producer/director trio. But the main focus here is on Joan Bennett’s life and career and on MAN HUNT, which will come out on blu-ray in the UK early next year, with THE WOMAN IS DANGEROUS included as an extra feature! Here at Fiction Factory we just finished editing on RUNNING IN THE DARK, in which film scholar Glenn Erickson tells the fascinating story behind Jules Dassin’s noir masterpiece NIGHT AND THE CITY (1950), starring Richard Widmark as an American low-life racketeer literally running out of luck in London. 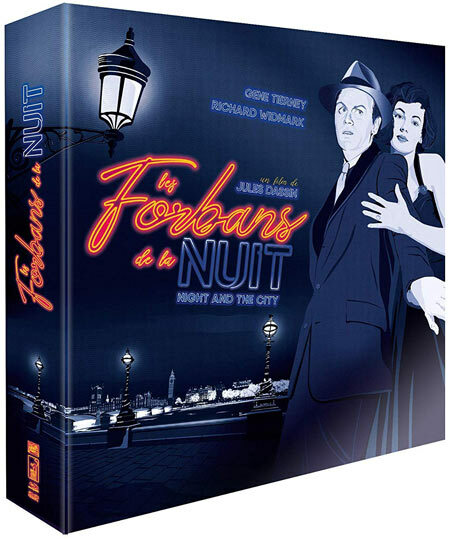 Watch out for this 42-minute documentary on an upcoming blu-ray of NIGHT AND THE CITY. British cult actress Judy Geeson (TO SIR WITH LOVE, BERSERK, DOOMWATCH) recently met with Robert Fischer in Los Angeles to reminisce about Richard Fleischer’s true-crime drama 10 RILLINGTON PLACE (1971), in which she plays John Hurt’s wife and is — spoiler alert! — famously killed by none other than Britain’s notorious serial killer John Christie (Richard Attenborough). The 22-minute documentary, BEING BERYL: JUDY GEESON ON RICHARD FLEISCHER’S 10 RILLINGTON PLACE, will first appear as a bonus feature on Paris-based Carlotta Film’s DVD and blu-ray editions of Fleischer’s film later this year.